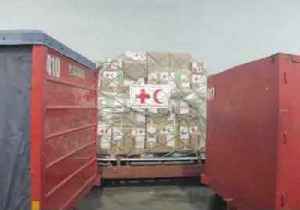 The first shipment of humanitarian aid from the Red Cross arrived in Venezuela on Tuesday, April 16. 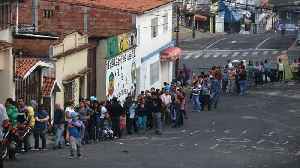 The aid is intended to alleviate a dire economic crisis in the once-prosperous, oil-rich country. 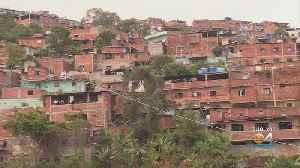 According to Reuters, Venezuelan president Nicolas Maduro had blocked previous efforts to deliver assistance and has denied the existence of a humanitarian crisis. 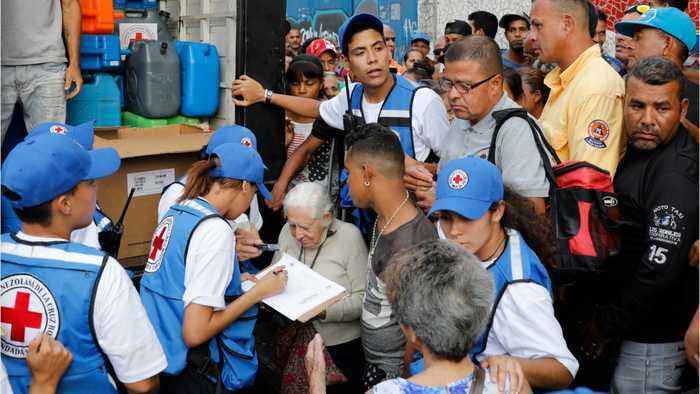 The Red Cross shipped what it said was its first aid into Venezuela on April 16, following weeks of a government blockade. 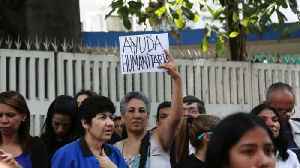 The aid consisted of medical supplies and electrical equipment, the Red Cross..
15 Red Cross trucks were waiting to drive supplies into Caracas, Venezuela to help 650,000 people but pro-Nicolas Maduro militia are violently keeping them from delivering the needed items. It's time to save lives. Jump Start the Heart is a CPR, AED, and first aid training business. 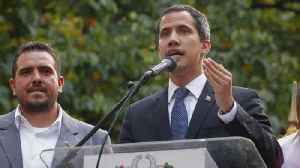 This organization offers American Heart Association and American Red Cross classes, and Joanna is here to..
Opposition leader Juan Guaido said the Red Cross' announcement was a victory for the country.